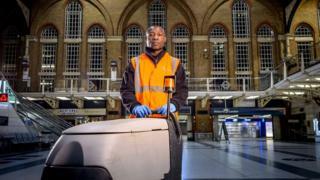 Interserve, one of the UK's largest providers of public services, is urging shareholders to back a rescue deal or the firm could face administration. But if shareholders reject its debt-for-equity-swap plan in a vote this Friday, Interserve's lenders could apply for a pre-pack administration. Interserve's rescue plan involves cutting its debts from more than £600m to £275m by issuing new shares. These will then be swapped with creditors for debt. Interserve's largest shareholder, Coltrane Asset Management, is critical of the deal and is threatening to block it unless there is a better deal for shareholders. The banks would look to sell off different parts of Interserve's business in due course. The board does not expect any interruption to the company's underlying contracts or any immediate job losses. The firm's shares have plunged over the past year, currently trading at 14.6p each. Just over a year ago, the shares were worth 100p each. Following Carillion's collapse, the government launched a pilot of "living wills" for contractors, so that critical services can be taken over in the event of a crisis. Interserve is one of five suppliers taking part. From its origins in dredging and construction, the company has diversified into wide range of services, such as healthcare and catering, for clients in government and industry. Interserve is also the largest provider of probation services in England and Wales, supervising about 40,000 "medium-low risk offenders" for the Ministry of Justice.